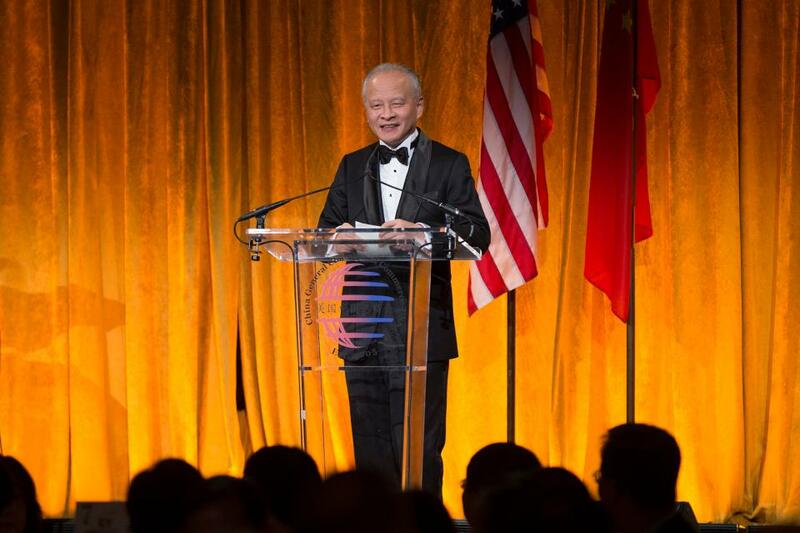 The last 40 years of the China-US relationship have proven that cooperation is the only right option for both countries, Chinese Ambassador to the United States Cui Tiankai said on Monday in New York. “China remains committed to expanding our cooperation with the United States on the basis of mutual benefit, managing our differences on the basis of mutual respect, and developing a relationship with the United States based on closer coordination, more cooperation and greater stability,” Cui said during a speech at the Chinese Lunar New Year of the Pig Gala held by the China General Chamber of Commerce – USA (CGCC-USA). As the two countries celebrate their 40th anniversary of diplomatic relations, it is time to look forward to the coming decades and plan to work together for greater success, Cui said at the event. Cui also pointed out that just as profound changes have taken place in both countries and the world over the past four decades, the China-US relations must also evolve with time. “All this only underscores the need for closer China-US cooperation and the consequences if we fail to do so in this fast-changing world,” he stressed. The seasoned diplomat advised that business communities in both China and the US to remain focused on the larger picture, open-minded and moral in their decision-making. Over 400 guests, including experts, scholars, officials, diplomats and business leaders, attended the annual Chinese New Year gala. With more than 1,500 member companies, CGCC-USA is the largest non-profit organization representing Chinese enterprises in the US.